[Hong Kong] Hong Kong is known to be a cosmopolitan food city, gathering some of the best restaurants and cafes from all over the world in a single place. 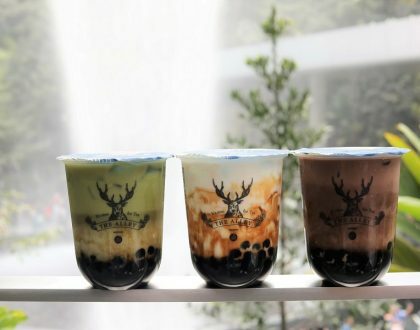 Other than the local staples of dim sum, wanton noodles and cha chaan teng food, perhaps it is time to try out some of the best international “street food” available. 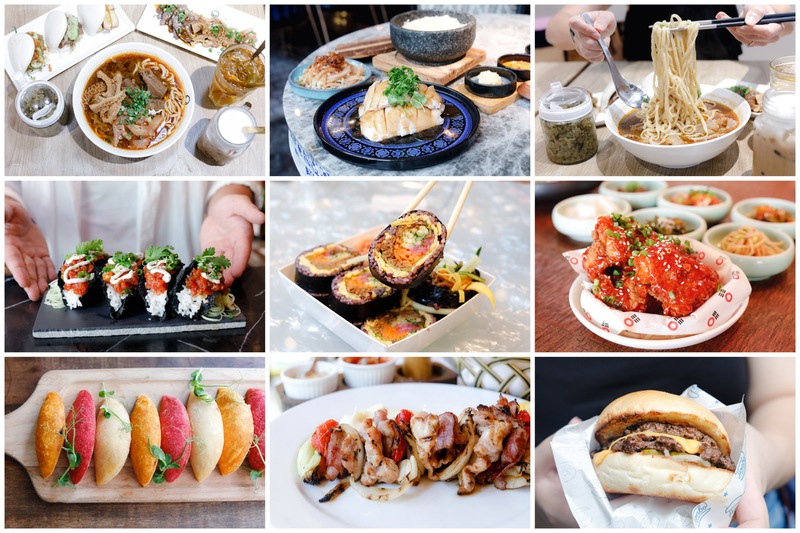 During my last trip, I experienced some food I previously wouldn’t have tried in Hong Kong, only because I didn’t know about them prior – from modern Korean bites, Latin-American platters, to Taiwanese Beef Noodles. If there is one word to describe all these food, it would be “colourful”. Yes, even the famed Singapore Tian Tian Chicken Rice and A Noodle Story – so how does the “Hong Kong version” fare? If you have been to the Da-an distract of Taipei, you might have come across this famous Taiwanese Beef Noodles shop. 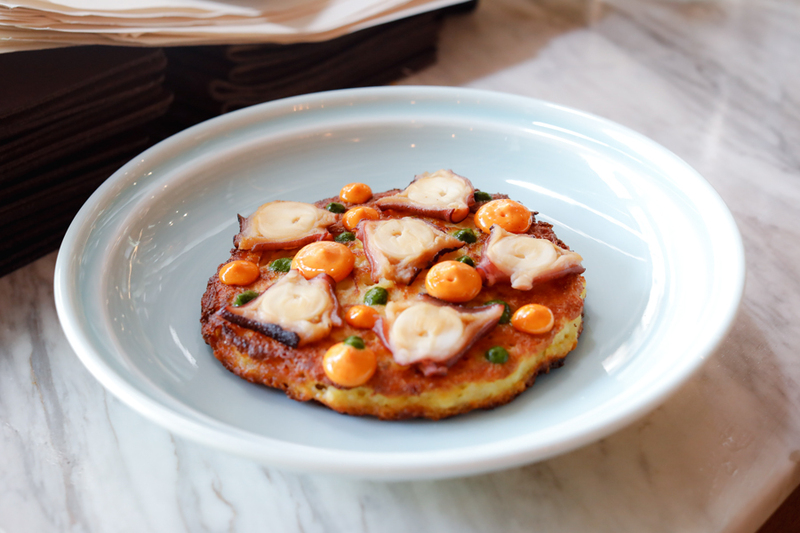 The brand has been brought into Hong Kong by Laurinda Ho – daughter of billionaire Stanley Ho (She has been described as “shockingly gorgeous” and you may just spot her while having your Taiwanese fare). 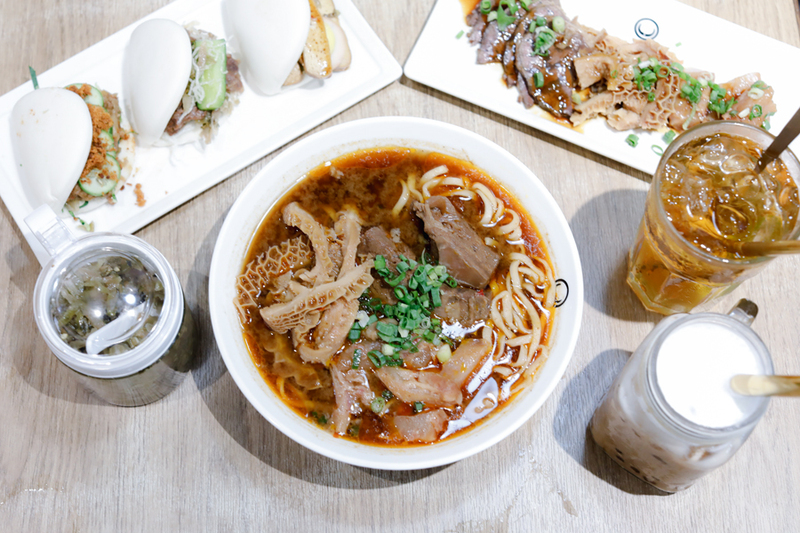 Jiu-Wu’s signature Beef Noodles comes with options of three different broths – braised, tomato, spicy; along with a dry version. To maintain its authenticity, Jiu-Wu uses premium beef and the precious cuts from the shank meat, while its noodles are made with precise specifications by a noodle factory in Hong Kong to maintain the QQ texture. The winning element is really in its soup base, made cooking the beef bones for eight hours with the addition of herbs and other secret ingredients. Other than that, you can also look forward to side dishes of Braised Beef – prepared using a secret sauce recipe from Jiu-Wu family so that the meat remains tender and stronger in flavour; and Cold Noodles mixed with butter oil, fresh cucumber, and sesame sauce from a century old store in Taiwan. 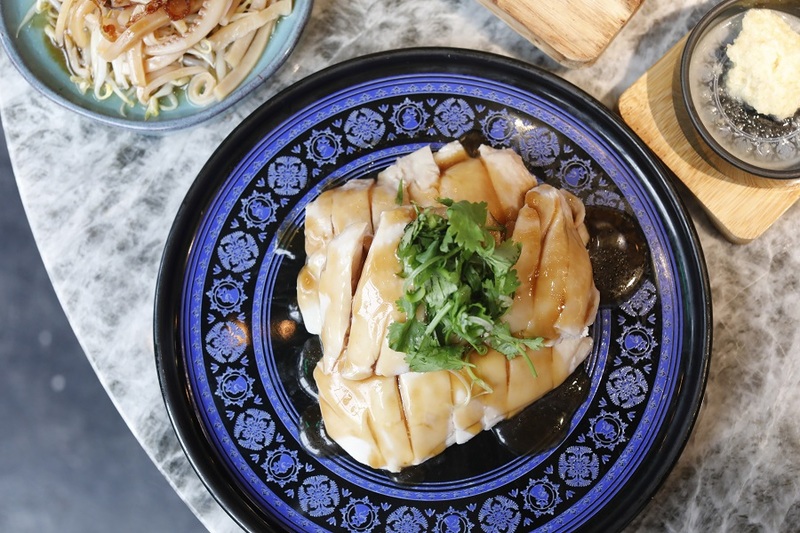 For fellow Singaporeans, Tian Tian Hainanese Chicken Rice will not be an unfamiliar name. 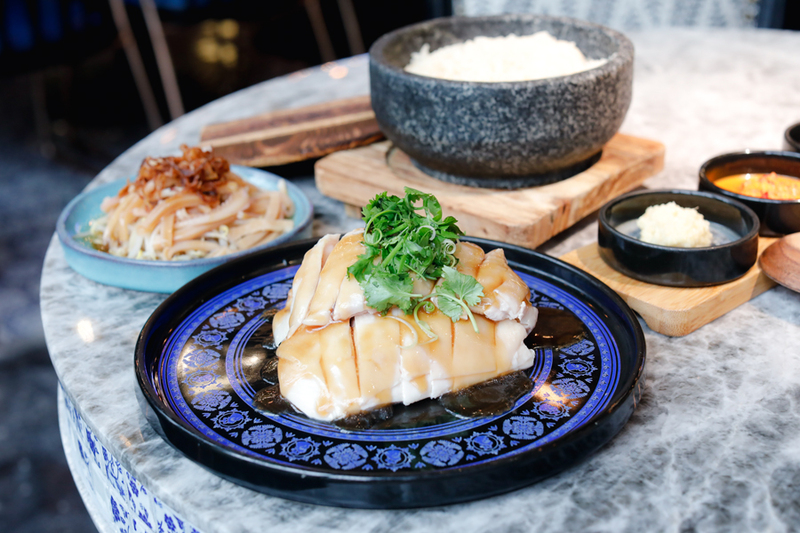 It has been widely known to serve one of the best Chicken Rice at Maxwell Road Hawker Centre, praised by celebrity chefs Anthony Bourdain and Gordan Ramsay, and was also awarded the Michelin Bib Gourmand for 3 years in a row. Here’s the verdict: The rice from Tian Tian Hainanese Chicken Rice is fluffy and aromatic; along with poached chicken that is tender, smooth and melts in your mouth. There are still slight differences, but it is good to experience a varied take. The restaurant is said to pay special attention to every aspect of the chicken rice, from the supply of the chicken, type of Thai rice used, and the condiments from the dark soy sauce minced ginger, and signature chilli sauce that packs a punch. 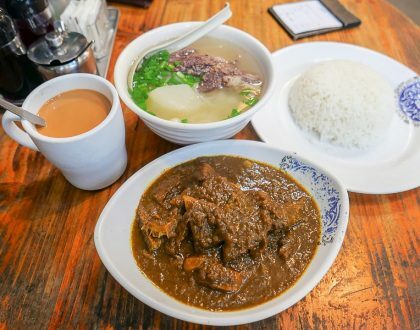 As Tian Tian Plus in Hong Kong is a multi-concept restaurant, there are actually 3 seldom-talked about brands within – A Noodle Story famed for its ‘Singapore-style ramen’ from Amoy Street Food Centre; Lao Jie Fang from Mei Ling Food Centre; and The 50s from Chinatown Complex Food Centre. 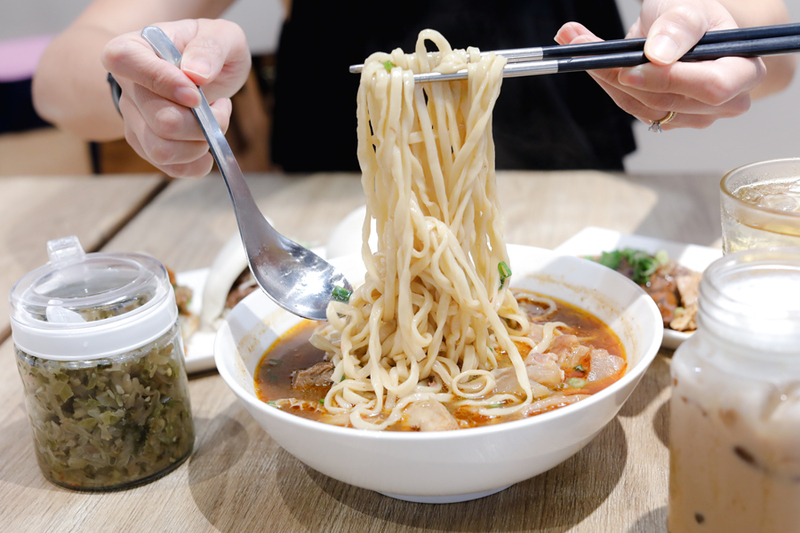 While A Noodle Story is Bib Gourmand listed, the other two are also Michelin-recommended. A Noodle Story is known for a bowl with combination of tender cha-su, Hong Kong-style wontons, soy-flavoured hot spring egg, crispy potato-wrapped prawn, freshly sliced scallions and red pepper sit neatly on top of the thin, springy noodles. 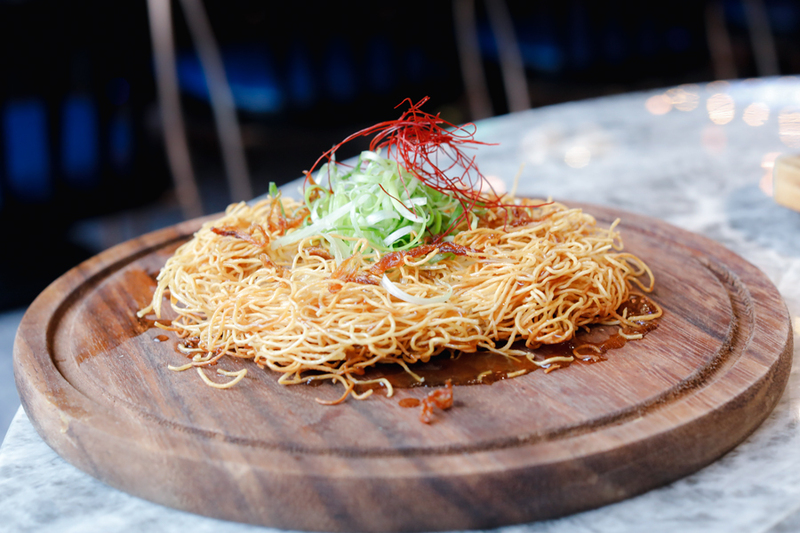 Over at Hong Kong, there are also specials offering crispy noodles. 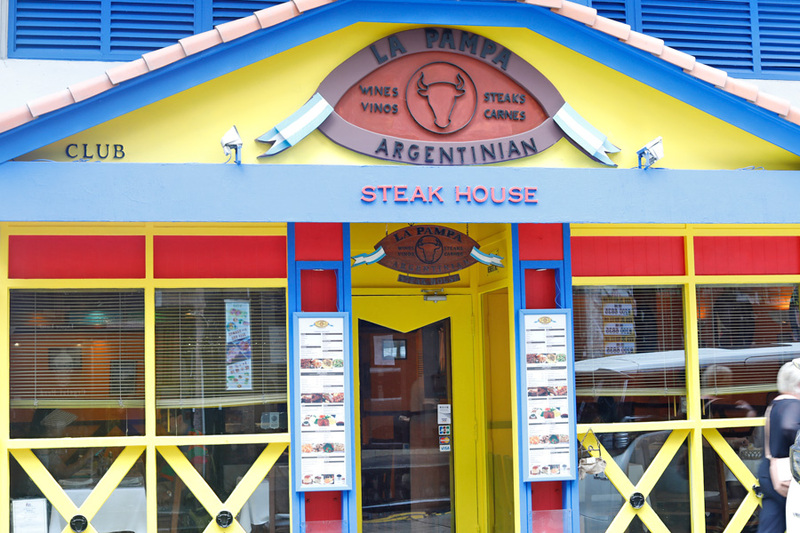 Few would realise that La Pampa located at SoHo, has actually been opened since 1999. It is the first Argentinian Steak House in Hong Kong, with the name “Pampas” representing the vast lowland plains of South American where high-grade sheep and cattle bred. Only free-range, organic and grass-fed beef and chorizo imported from Argentina are used in the restaurant. Even if you are unfamiliar with Argentinian dishes, several of their dishes could just whet your appetite, from the prime beef cuts, succulent chorizos, to roast beef, sausages, brochette, lamb rack, salmon, to filling meat pies. 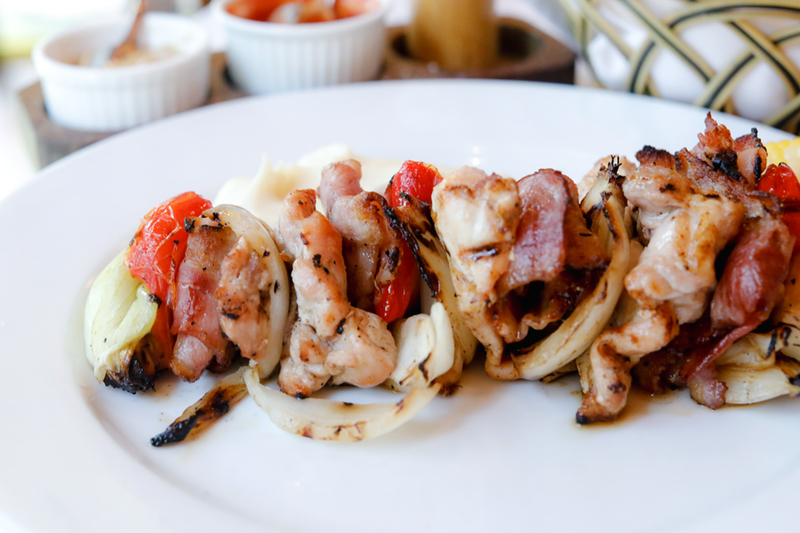 One of the highly recommended dishes is the Brochette De Pollo, rich chicken skewers with bacon, pepper and onion. 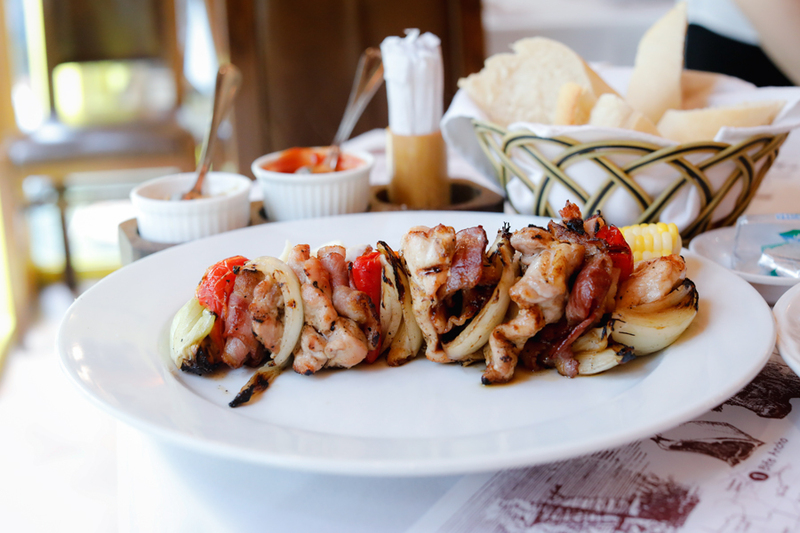 The chicken pieces are lightly grilled, surprisingly still tender and juicy, bursting with vibrant South American flavours. Portions are huge, so there is no way you will leave feeling hungry. 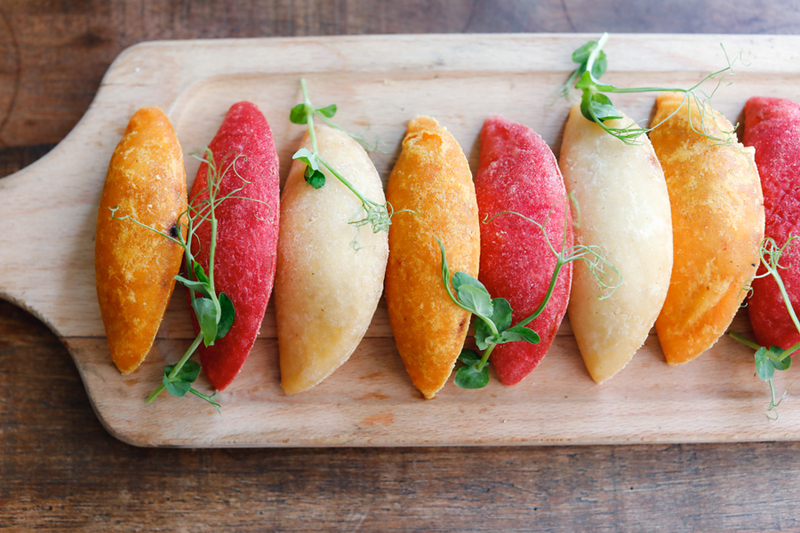 Hong Kong’s first pan-Latin restaurant Picada is a vibrant space offering a colourful menu of Latin American bites, known for signature ceviches, freshly griled anticuchos, and specialty drinks. Best to be experienced as a group, start the meal off with Peruvian Ceviche, included with resh seabass, smoked sweet potato purée, “Leche De Tigre”, Peruvian corn, cancha (crispy corn), onions, and coriander. fried pork belly, chorizo, and plantains served with chipotle sauce, truffle mayo, and guacamole. 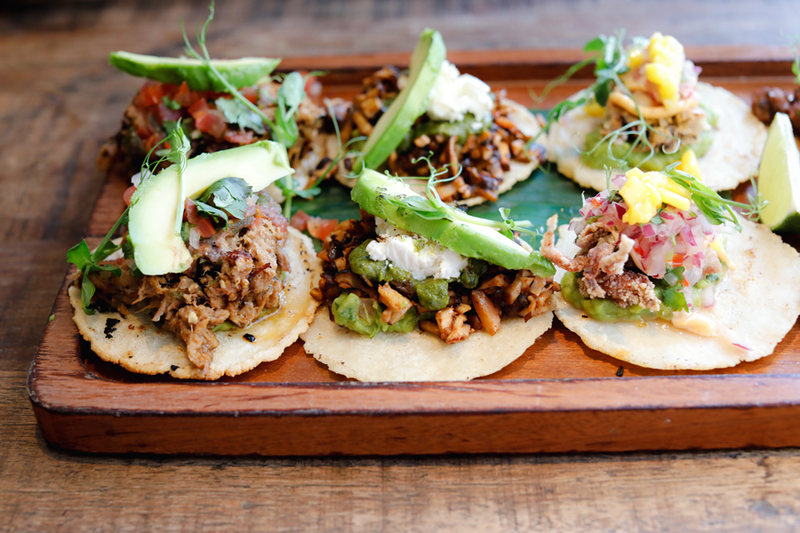 I guess you cannot go to a Latin American restaurant without trying some of the Tacos, in refreshing fillings of Crab, Beef Ribs, Avocado or Chicken Al Pastor, within fresh homemade corn tortilla. 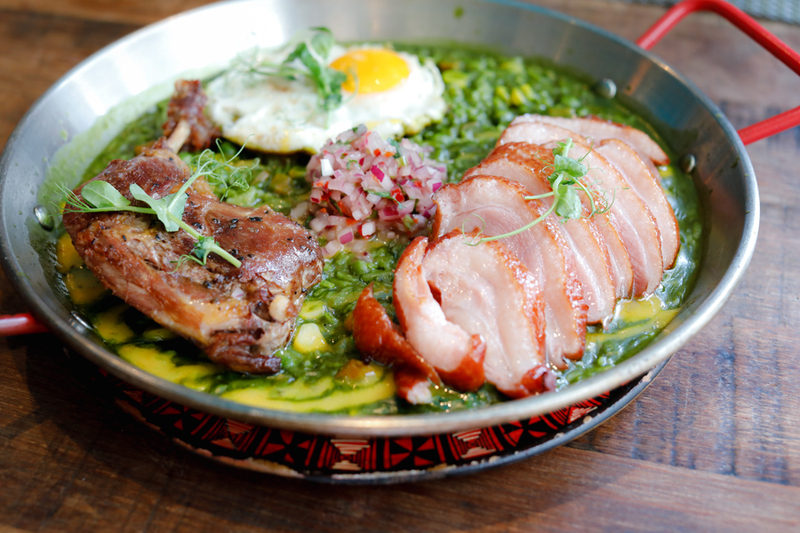 The one dish that stole my heart was the Arroz con Pato, a rice dish included three types of duck, smoked duck breast which was extremely tasty and tender, duck leg with fall-off-the-bone meat, and duck egg on green rice. A culinary experience that is hard to find elsewhere in the city. 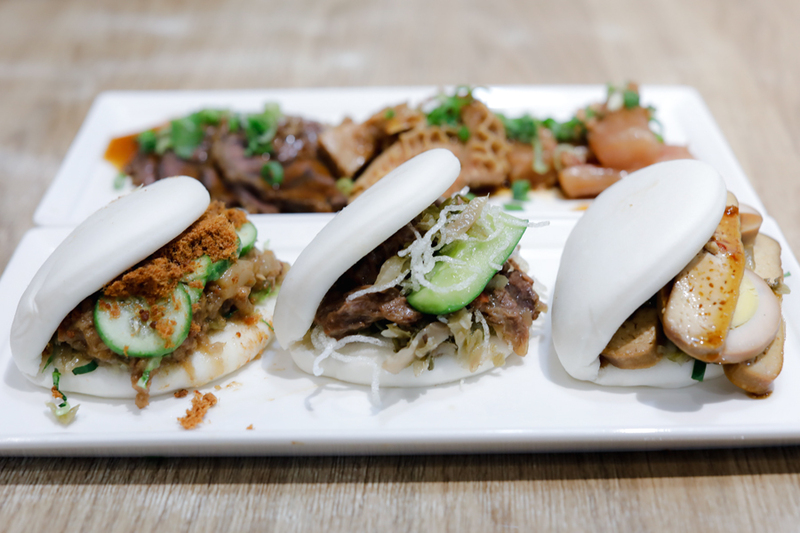 Hong Kong is one of the few cities in which the Michelin Guide has released a “street food” category. Kelly’s Cape Bop is one of those recommended, known for its fuss-free and authentic Korean street food. 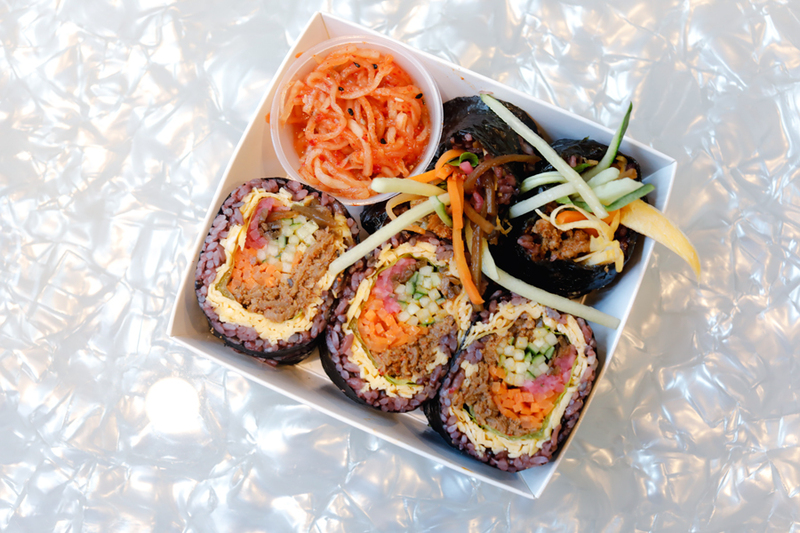 It is easy to give this store a miss as the store-front is not that conspicuous (except with large Michelin logos pasted), but this is where you can get tasty, healthy Kimbap made on the spot. 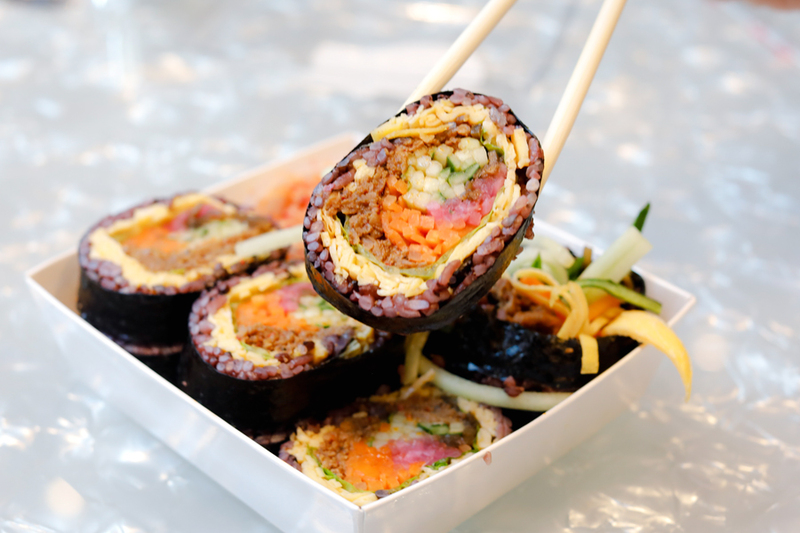 The Kimbab is a Korean dish typically eaten during breakfast, made by rolling cooked rice and other ingredients that are rolled in “gim”—dried sheets of laver seaweed then cut into bite-sized slices. 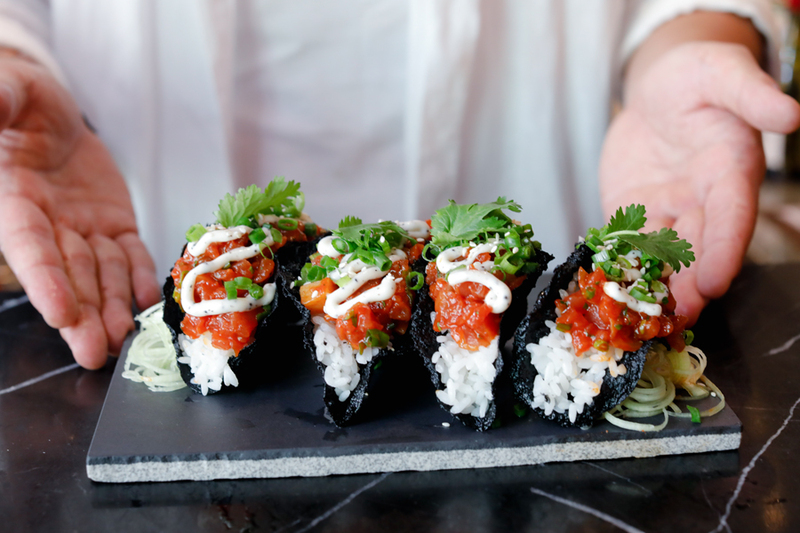 These may remind you of sushi rolls. Kelly’s Cape Bop’s version comes with vegetables and a filling of your choice – beef, pork, tuna, vegetables, cheese or spicy squid, which will ensure a filling treat. You can even choose a “without rice” version, replaced with egg floss made from fresh eggs. Also to look out for are Egg Rolls – pan fried eggs with chopped carrots, spring onions and fillings such as cheese; Korean Chicken Bites; Seaweed Dumplings; and Kimchi Pancakes. Bib n Hops is a modern Korean restaurant bar, with menu created by three Michelin-starred Chef Alvin Leung aka “Demon Chef” of Bo Innovation fame and Korean Executive Chef Yong Soo. Hong Kongers do love their Korean food, but few restaurants are adventurous enough to serve Korean food that is quite out of the ordinary. Expect new, modern, refreshing flavours. 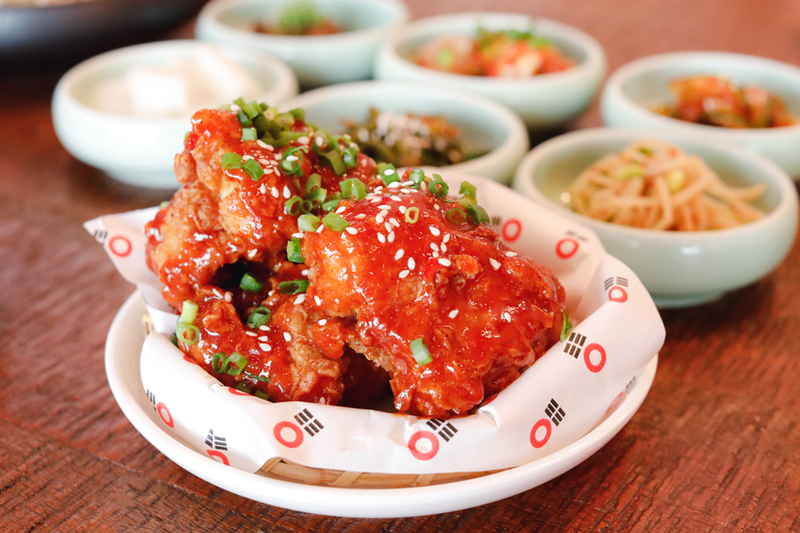 One of the “from the farm” dishes you can look forward to is the Korean Fried Chicken, containing fried boneless chicken (good for those who are lazy) tossed in a bespoke sweet curry sauce or sweet chilli sauce, served with spring onion salad and pickled daikon. Loved how chunky yet moist the chicken pieces were, coated with an addictive, sticky sauce you would gladly lick your fingers for. There are always new offerings to look out for, such as Korean Bibimbap with Singapore Chilli Crab or Sichuan Chicken with pepper gochujang sauce. Not forgetting the creative drinks to go along. There are some food places in Hong Kong that mostly the locals know about, and they are constantly filled. 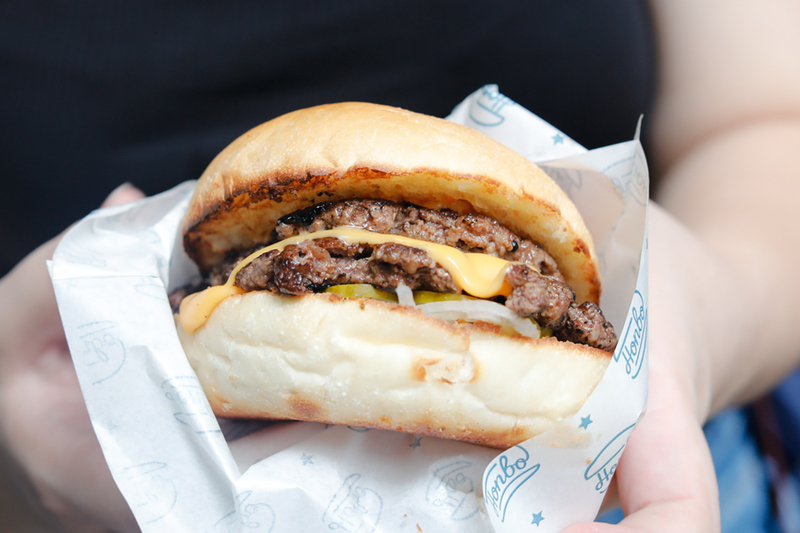 Honbo is one of them, known among burger aficionados for their juicy burgers made using quality USDA meat. True enough, it was packed when I visited a weekday afternoon. 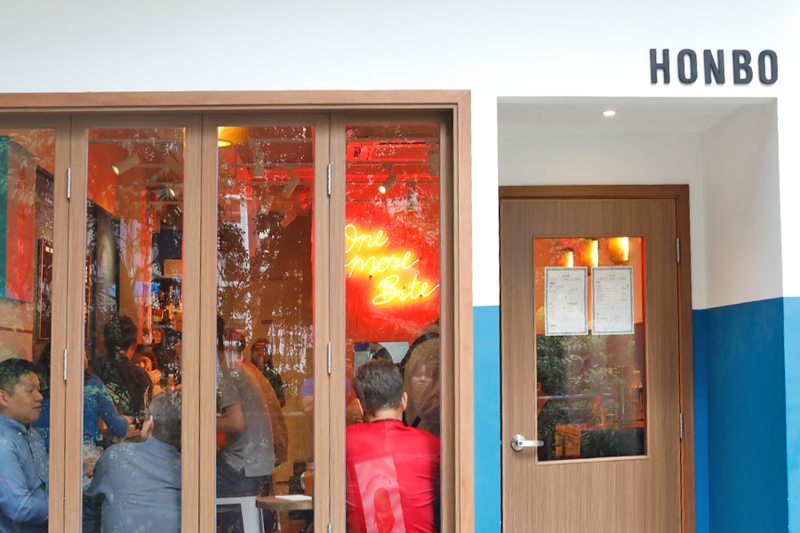 Honbo which means “burger” in Cantonese, terms itself as a “grassroots burger restaurant” which stays connected to that is local farmers, brewers and artisans. Staying true to its brand identity, the signature Potato Milk Bun is baked “just 15 minutes away” and vegetables harvested free from Yuen Long. 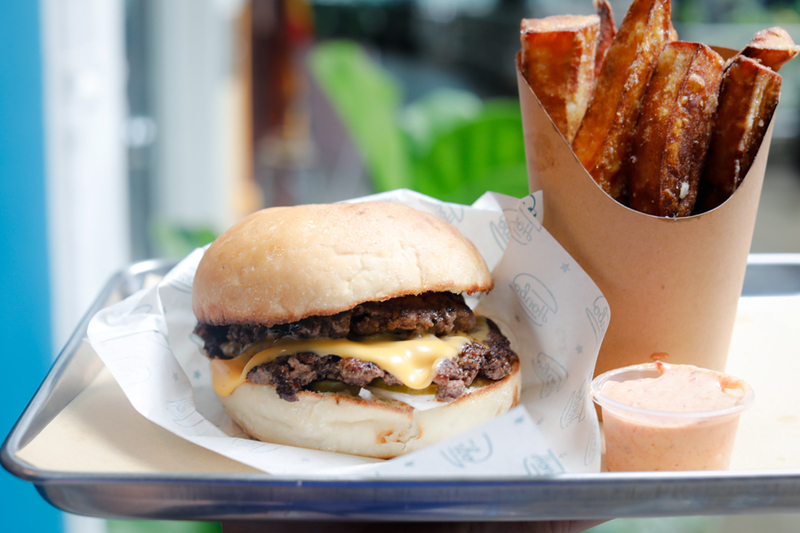 True enough, this was just a simple, darn-good burger – soft as pillow bun, with juicy meaty patty sandwiched in between, added with those wicked sweet potato fries. Can give some of the big boys a run of their money. 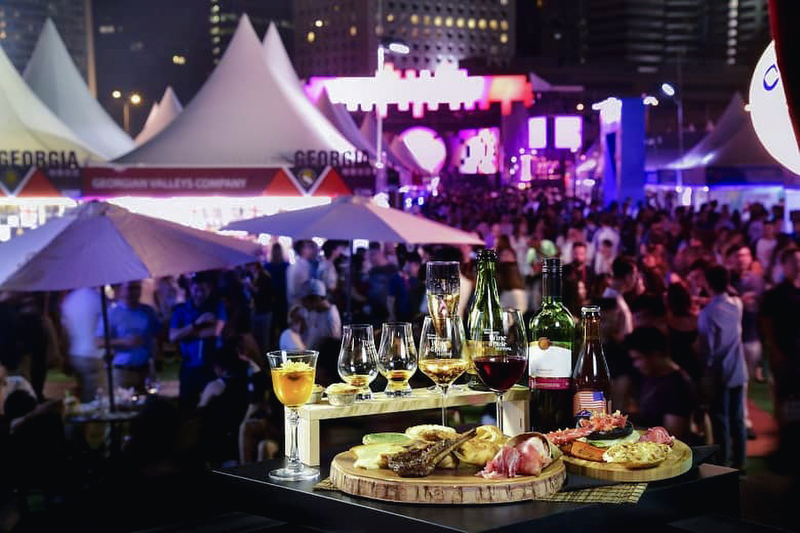 You can now experience all these international cuisine all at a single place, at the Hong Kong Wine & Dine Festival 2018, held from 25 to 28 October (Thursday to Sunday). 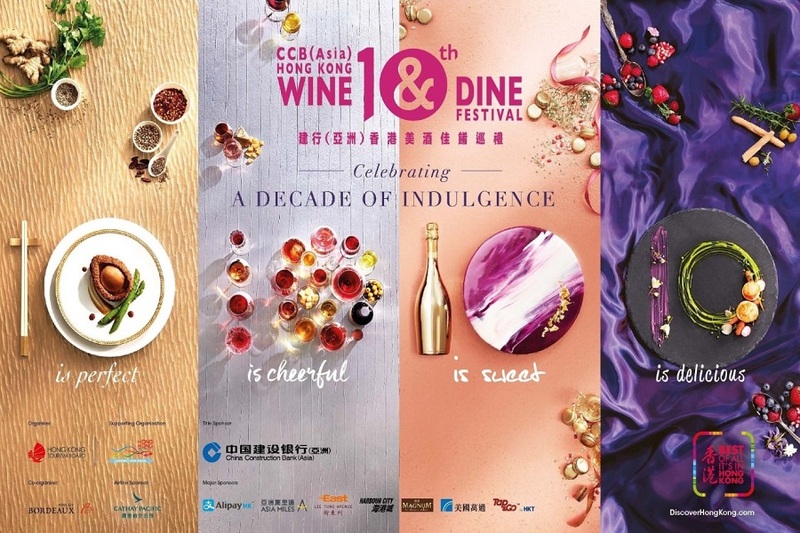 As this is the 10th edition of the largest-ever Hong Kong Wine & Dine Festival, there will be 10 zones offering a host of choices, complete with a bigger venue. 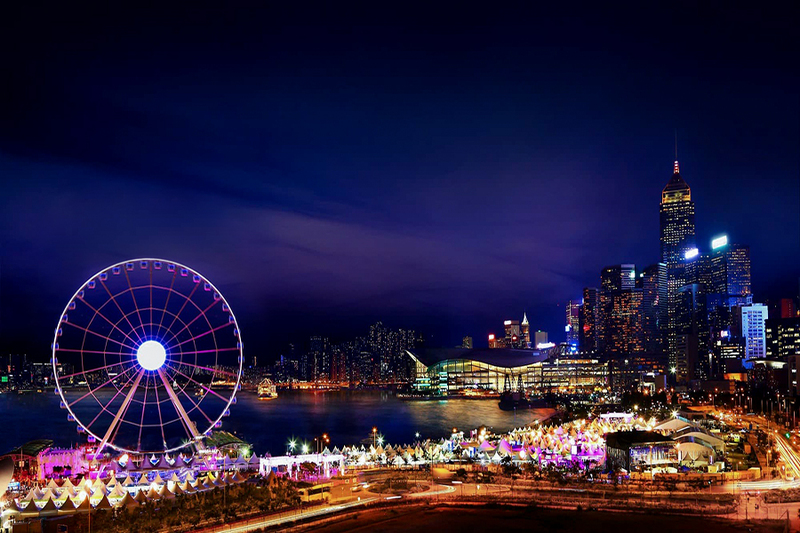 Extending its reach from Central Harbourfront Event Space to Tamar Park, the venue size for this year’s Festival will be 20% larger than last year’s. There will be about 450 booths serving fine wines and exquisite food, over 10% more than last year. Newly included zones are the “International Street Eats” and “Coffee Fiesta” which will offer gourmet delights such as Jiu-Wu Beef Noodle from Taiwan, Tian Tian Chicken Rice from Singapore, Bayern Gourmet Food from Germany, Kelly’s Cape Bop offering Korean street eats, Pampas Argentinian Steak House, and Picada for Latin-American food. 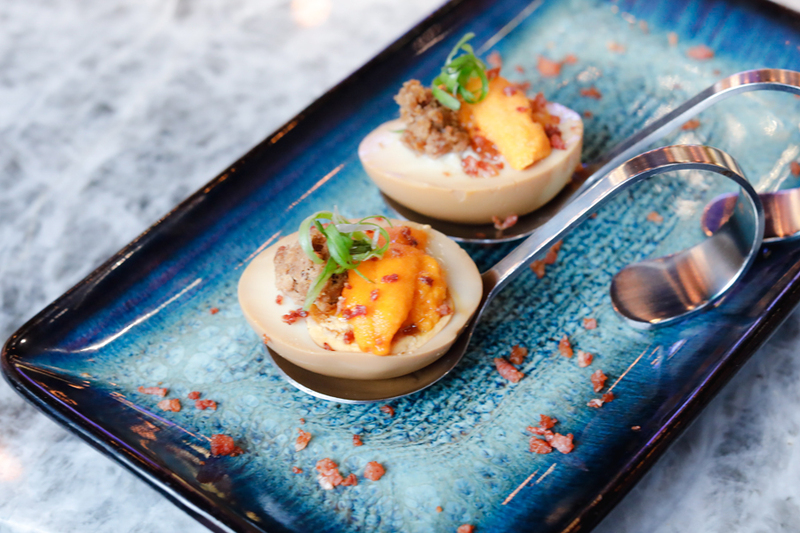 At the “FeedMe Lane” in the Wine & Dine Festival, you get to sample creations from some of Hong Kong’s most stylish and trendiest restaurants – such as Bib and Hops and Honbo. The key event highlights is the “10-Michelin-starred Dinner” at the “Tasting Room”, where Five international Michelin-starred chefs will jointly present a highly anticipated wine pairing banquet with eight courses, fusing Chinese, Thai and French elements. The chefs include Chef Pierre Gagnaire of “Pierre” from Mandarin Oriental Hotel Hong Kong; Chef Bee Satongun of “Paste Bangkok”; Chef Lin Cheng Ching from “The Guest House”; Chef George Chen of Shanghai’s “Wujie”; and Singapore’s very own Chef Kentaro Chen, Executive Chef of “Shisen Hanten”. In addition, good news for Singapore travellers who are flying to Hong Kong via Singapore Airlines or Cathay Pacific. *This entry is brought to you in partnership with Hong Kong Tourism Board. Shouldn’t it be “in Hong Kong” instead of “at Hong Kong”? For a while I thought there is a new restaurant called “Hong Kong” ;).